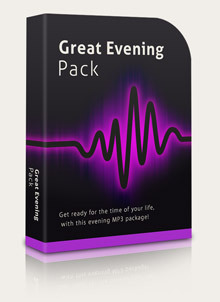 Get ready for the time of your life, with this evening MP3 package! HappyLift - We could all use a little more happiness in our lives! X-Cite - Turn off those daytime troubles and tune in to a fabulous time! SublimeSleep - Having trouble getting the kind of sleep you need? No problem!